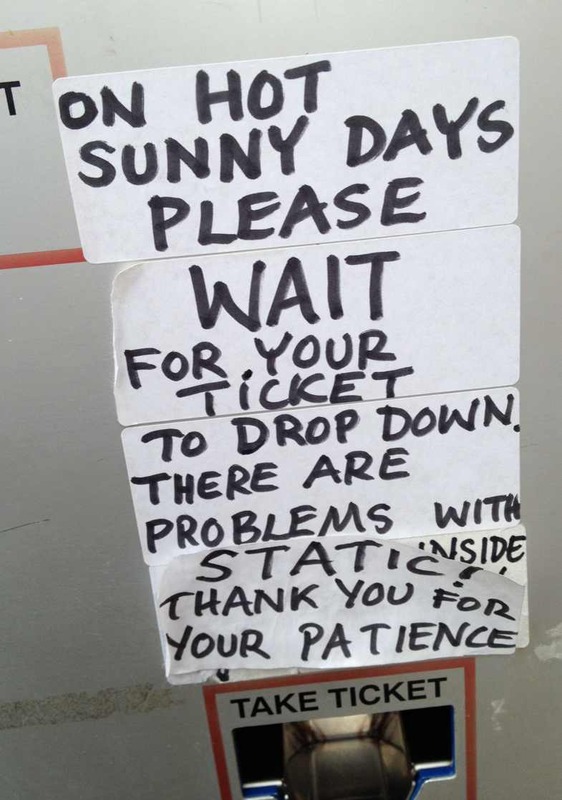 "On hot sunny days please wait for your ticket to drop down. There are problems with static! 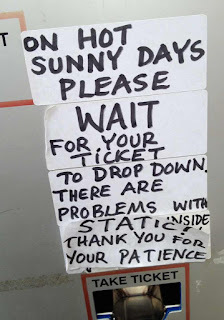 Thank you for your patience"
There was a time when, had this been a Government IT project, the requirements would have contained provision for how this device should be modified to ensure that it operated on such hot, sunny days. That modification would have cost millions and would have been deployed just as the UK entered a phase when the summer temperature didn't exceed 20C for years. That time was no more than a year ago. Things are different now. Now we're content with workarounds and products that do 80% of what is needed with no customisation.